Men and women huddled hundreds deep, hoping to will their way into the secretive facility. Struggle or interfere on the long desert trek and they’re shot. Getting in is tough; thousands will be turned away. Once inside, hard labor and years of servitude await. Far fewer still will accomplish their ultimate goal, a whisper of a shadow of a dream in the face of soul-crushing hopelessness. So why do those who make it inside consider themselves the lucky ones? Breaking Bad meets Bull Durham in this darting knuckleball of a baseball thrill ride. Roger "Hack" O'Callahan was one of the most legendary major league managers ever, not only for his success on the field, but also for his hair-trigger temper and surly disposition off of it. Even at 84 years old he hasn't mellowed with age, much like the cheap whiskey that he guzzles by the bottleful. When he's diagnosed with advanced liver cancer, though, he goes on a bourbon-fueled bender to the somewhat sleepy college town of Hoplite, Ohio. His mission? To worm his way into managing the AA Hoplite Magpies for one final season on the bench, even as his cancer eats away at him from the inside. The only thing more rotten than his decaying body is the Magpie clubhouse, a collection of spoiled suburbanites, racist southerners, and non-English-speaking Latin cliques. As Hack instills his own unique brand of "old school" discipline in the fractured clubhouse, he keeps his dark secret from his players, content to die without ever revealing it to them. As the team comes together, though, little does he know that the Magpies are keeping secrets of their own, secrets that could not only tear the world of baseball apart, but also spell doom for one of his players. 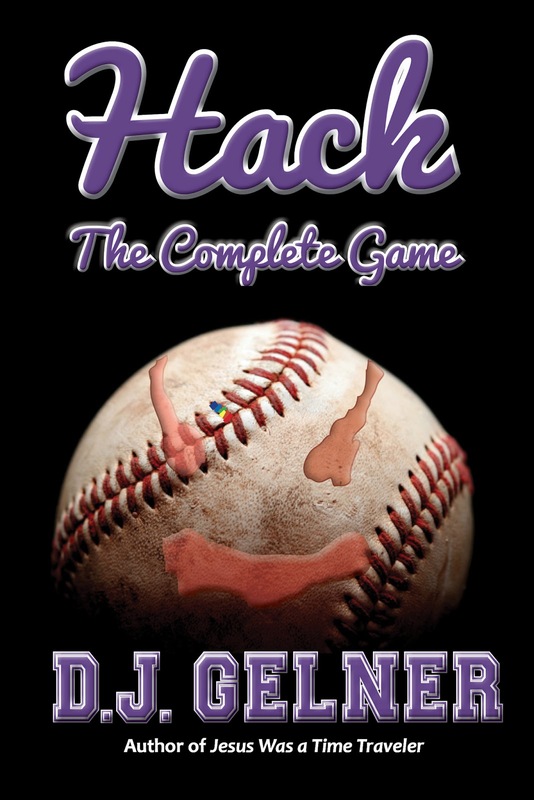 A tightly-paced baseball thriller with plenty of curveballs, Hack: The Complete Game will keep you guessing and crying, both with laughter and unchecked emotion, through its unexpected and tearful conclusion. $0.99 on Kindle & Nook. Don't Like it? 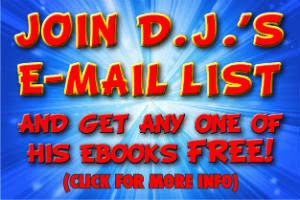 TELL AMAZON & B&N ABOUT IT! Go to the product page and click on "tell us about a lower price." SYNOPSIS: Roger “Hack” O’Callahan is dying. As liver cancer slowly eats him from the inside, he destroys his TV set in a fit of alcohol-fueled rage, leaving him without his precious baseball highlights, and much else to do other than rot away, a lonely old man. What’s a crusty, foul-mouthed, retired baseball manager to do? In Hack’s case, he worms his way into managing the AA Hoplite Magpies for one more season, keeping his disease a secret all the while. As he struggles to keep up with the “soft” players in their divided clubhouse, he injects a little old-school discipline to bring the team closer together. Little does Hack know that his players are keeping secrets of their own, secrets that threaten to tear his clubhouse and the world of sports apart at the seams. 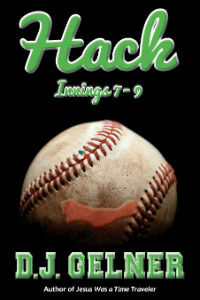 A comedy similar to “Major League” or “Bull Durham,” but with several dark twists, the first installment of the “Hack” trilogy will keep you laughing and guessing until its shocking conclusion. Hack: Innings 4-6 picks up from the shocking cliffhanger of "Hack: Innings 1-3." Is a man entitled to his secrets? Or will they slowly eat him away from the inside? Learn more about the upstart Magpies and their foul-mouthed (and utterly shocked) manager as they fight for the Northern League title, and keep your jaw from dropping at the end of yet another heart-stopping conclusion. Picking up from where Hack: Innings 4-6 left off, with Hack fighting for his life, he’s forced to confront the ugly demons of his past. Can the foul-mouthed manager teach Truck a valuable lesson on a national stage? The roller-coaster ride continues as events build toward the most shocking conclusion of the series yet. See how the Hoplite Magpies deal with the most adversity that they’ve ever faced, with deep-seeded issues that threaten to tear the team apart all the way to the nail-biting finish. Available in Paperback, Kindle Edition, Nook Edition, Kobo Edition, and through Smashwords. SYNOPSIS: All Dr. Phineas Templeton wanted to do was take his rightful place in history. When he built a time machine to visit Jesus Christ, he had no idea that he’d get exactly what he wished for. Join Dr. Templeton as he hunts dinosaurs, meets some of the great (and not so great) minds in all of civilization, and uncovers a vast conspiracy spanning thousands of years that will shake him to his very core. Will Finny buck the odds and find the fame and fortune he thinks he deserves? Or will he become the latest victim of a powerful and finicky universe that wants nothing more than to keep things as they are? I really enjoyed reading Rogue, so much I just finished reading it again.. Is there more to come? ?